The waves of the ocean draw you away on a grand adventure. A quest upon the Seven Seas guarantees exciting tales and remarkable foes. 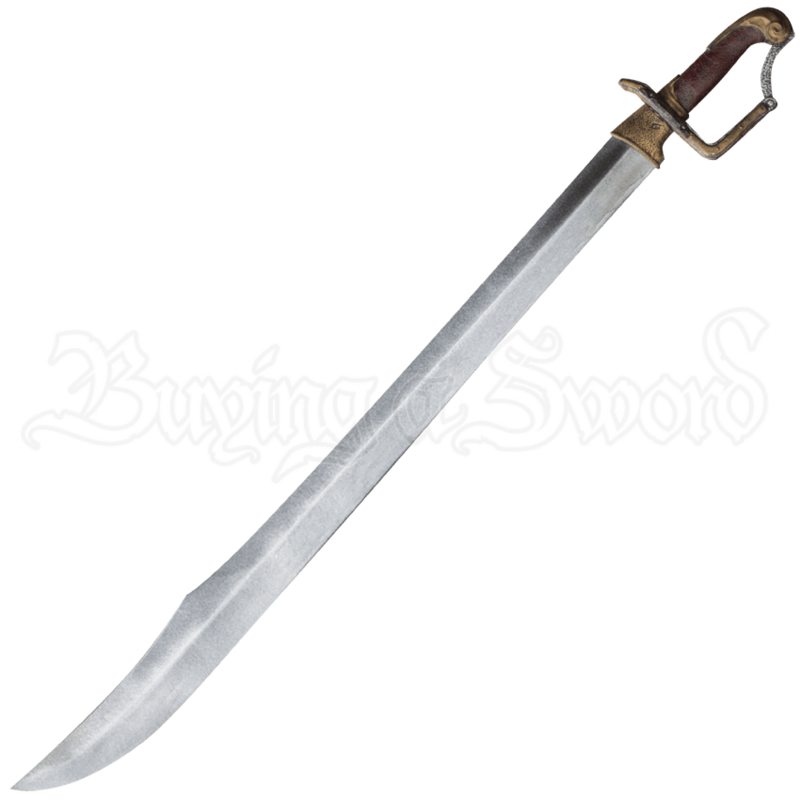 The Seafarer LARP Sabre ensures your character, whether pirate or naval officer, is well armed. An experienced explorer will find delight in the curved blade and golden accents of the hilt. The guard extends from the end of the blade to the pommel, supporting a firm grip and aiding in a powerful strike. 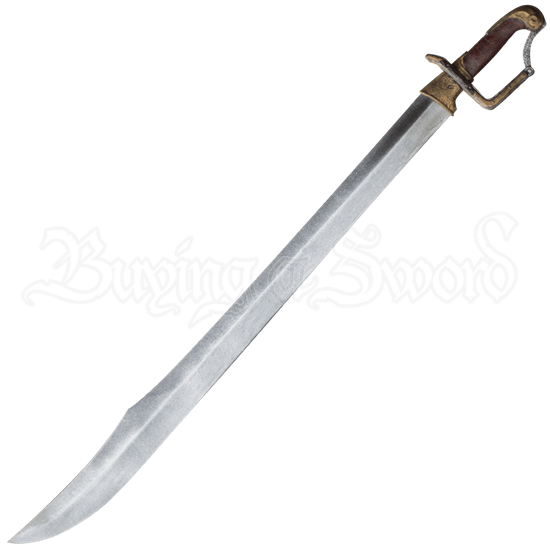 Made from coreless and durable closed-cell foam and finished with a latex coating, this seaworthy sword suites the image of a bold buccaneer. Please be aware that these measurements can vary, as these are hand-made items.